Snorkeling is one of the easiest and fun ways to safely explore the oceans and the beautiful life thriving within it. It is safe for children of all ages and even for older people. Snorkeling is one super activity that I think everyone should have on their bucket list. 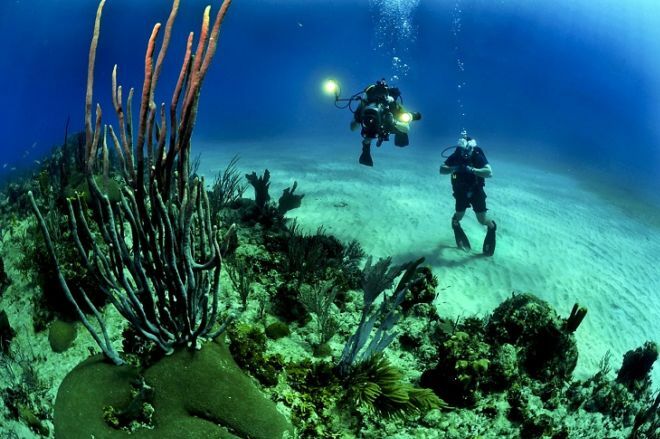 There’s really no experience quite like it – it allows you to keep your head above the water (just barely) while still getting to discover the incredible natural underwater ecosystem. So the next time you or someone you know is traveling, take a look at this list for some of the best places in the world that you can visit to enjoy this truly magical activity. This expansive region in the Philippines consists of nearly 2000 islands, besides the main Palawan Island, surrounded by a number of different water bodies, such as the South China Sea and the Sulu Sea. However, one of the most famous snorkeling spots in this small but vast island province is the Bay of Donsol, which is well known for its population of Whale Sharks, a protected species. A few lucky travelers have gotten the chance to swim next to these massive, beautiful and harmless creatures of the sea. If you visit the coast off Noa Noa Island, you can see the coral reefs. The Honda Bay is a great destination to try snorkeling for the first time, as it has a myriad of sea life for you to swim alongside. It is also the home of the Tubbataha Reef, which is located in a national park and can be visited on live-aboard boats. Reef diving and scuba diving are also popular water activities on these islands. Kayaking is a specialty offered in El Nido, another municipality in the province that is known for its crystal-clear waters and snorkeling adventures. Agencies can be found spread across these islands that organize different types of tours for snorkeling. 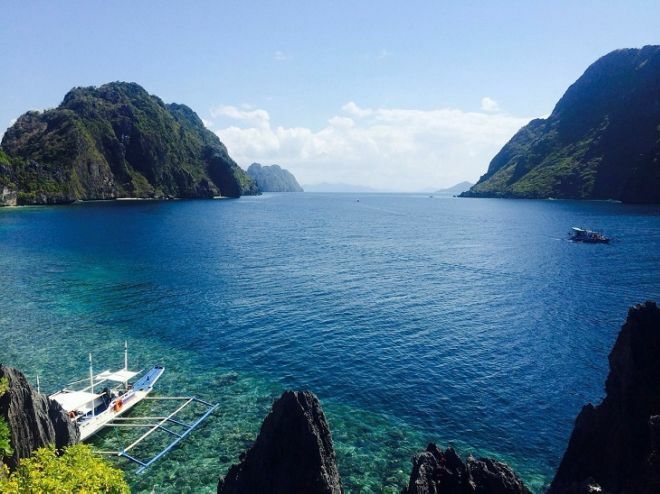 Palawan isn’t the only Southeast Asian province that has a flourishing marine ecosystem. If you’re looking for more mainland destinations to snorkel in, there are options to the south and the west of the Philippines. This island off the west coast of Thailand is a fantastic place to snorkel and is located in the Andaman Sea, off the shoreline of a national park. The Hat Chao Mai National Park is a great place for camping as well, with tents available for the full outdoor feel. 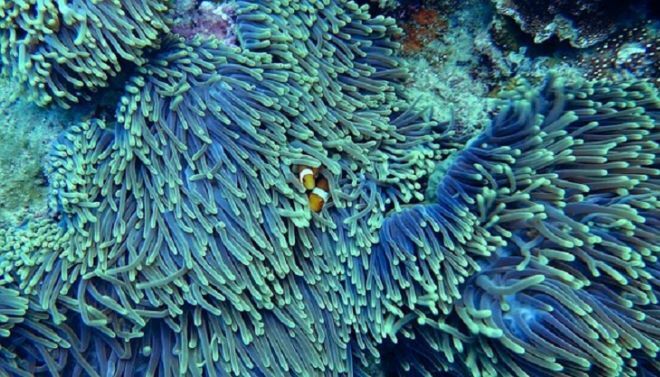 This quiet coastland is home to schools of our familiar friend Nemo, the clownfish, and endless beds of sea anemone, the usual nesting grounds of clownfish. The southeastern corner of this island has a drop-off zone of about 1 km that is very popular for off-the-beach snorkeling. This location gives you the best experience, with a landscape of beaches on one side and forests on the other. And the view only gets better under the moonlight. It has been observed that Koh Kradan has a wider variety of fish than most of the neighboring islands. 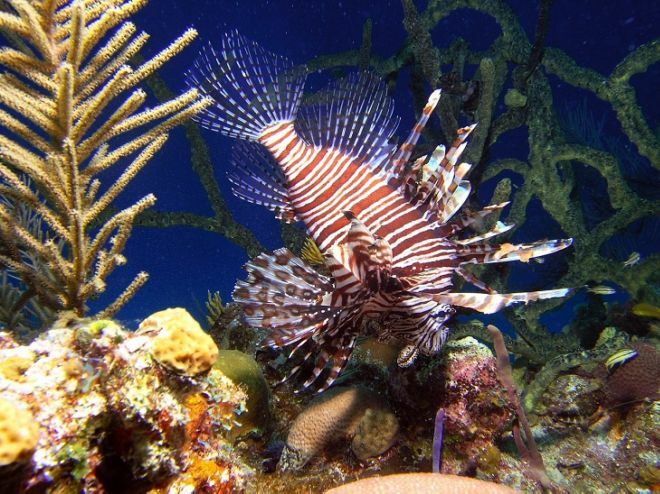 Some travelers have reported seeing the moray eels, manta rays, and even the rare lionfish among many others. Most of the accommodation available on this island is low to mid-range small resorts. If you’re looking for a more high-class experience, you can try some of the other islands located in the Trang archipelago, like Koh Lanta and Koh Muk. To the south of the above two islands is the country of Indonesia, below which the Island of Komodo is located. This island is not only the land of the largest lizard in the world, the Komodo dragon but also to a plethora of marine life. This makes it an ideal place for snorkeling. One great location on this island is the Pink Beach. It is chock full of beds of soft and hard coral and schools of colorful fish. This beach, with its pristine water and pink-sanded shoreline, is home to manta rays, hawksbill turtles and even dolphins. The journey to Pink Beach can be a little tough as the roads are somewhat weak. 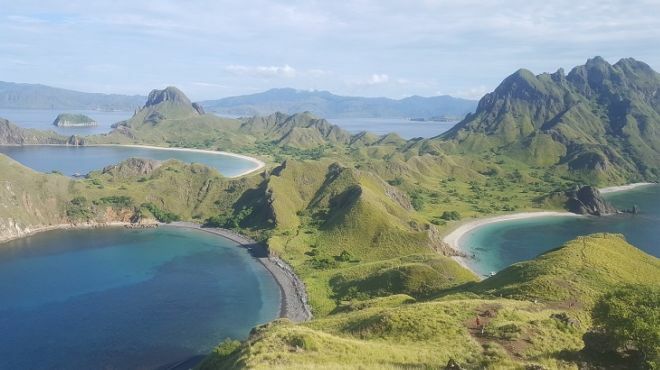 Another amazing destination that you should definitely visit in Komodo island is the Komodo National Park, which has over a thousand different species of fish, 14 of which are endangered, and nearly 300 species of coral. This park has numerous snorkeling spots. Some tourist agencies also organize tours for snorkeling in the islands surrounding Komodo. If you’re looking to travel more along the east end of the globe, there are many snorkeling options in the American subcontinent. If you are a fan of turtles, this might be the place for you. While most coral reefs of Florida suffered damage as a result of Hurricane Irma in 2017, this upper area of the Florida Keys was located in the eye of the storm. Most of the reefs survived with minimal destruction. This upper Florida Key is the home ground for loggerhead turtles, hawksbill turtles, and green turtles, protected within the territories of the Florida Keys National Marine Sanctuary. If you’re snorkeling in this region, you might even be lucky enough to see southern stingrays and even the elusive nurse shark. The Molasses Reef, located within the sanctuary, is a great destination to see lots of different high-profile corals. The John Pennekamp Coral Reef State Park was hit by Hurricane Irma but its major attraction, a famous statue entitled Christ of the Abyss, managed to avoid being harmed. The park is now fully open for visitors and while snorkeling is one of the more popular activities they offer, their boat tours are also great for families to enjoy. The entire archipelago of Hawaii is surrounded on all sides by many lovely snorkeling spots. 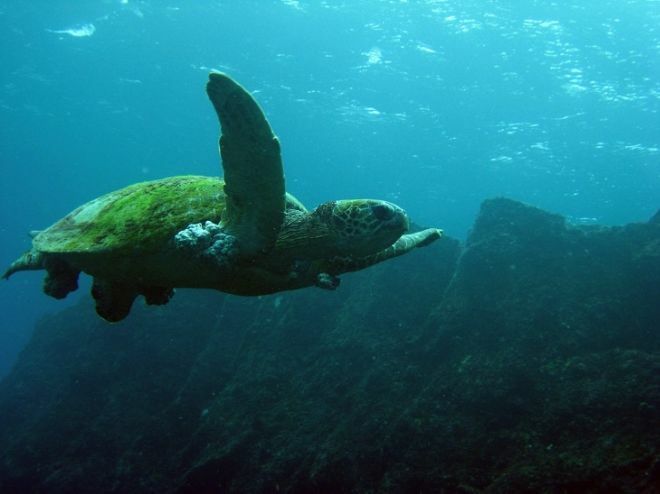 The beaches of the Kailua-Kona are famous for the large populations of green sea turtles found all over. One of the most well-known spots for snorkeling in Kona is Kahaluu Beach Park, a small bay with few waves. Other areas have populations of surgeonfish, butterfly fish, as well as dolphins and seals. However, for one of the greatest snorkeling experiences of your life, the Big Island of Hawaii is the place to go. The underwater state park of Kealakekua Bay is a historical landmark of this American state, marking the place where Captain James Cook first came to the island with a monument. The area of water along this monument is perfect for getting an underwater view of many different kinds of tropical fish as well as turtles and dolphins. Honaunau Bay is another coastal area that is rich with sea life and beautiful coral gardens. In between the American Continents is the Virgin Islands, a territory of the US consisting of a number of smaller islands. One among these lovely oceanic retreats is St. Croix, off the coast of which is Buck Island. Many adventure tours and cruises can be arranged through the many tourist services on the coast of St. Croix. If you’re new to the fun and adventure of snorkeling, this might be the perfect spot for you to try. It is home to the incredible Elkhorn coral barrier reef as well as a plethora of marine life, like sea turtles and the elusive octopus. The entire seascape of this underwater trail has over 250 different species that you can encounter. But this it is an awesome place for above water enjoyment too. Buck Island is also a great place for sailing and hiking. While one side of this island is an incredible snorkeling destination, the other happens to be one of the best beaches in the world. Moving further down the map, here are some great places snorkeling you can find in South America.